And now “the Guwahati High Court has directed the Assam and central governments to probe the alleged role of the [millionaire] perfume baron and Lok Sabha MP Badruddin Ajmal in the recent ethnic violence in the state.” This Badruddin Ajmal, the president of Assam’s main opposition party All India United Democratic Front, is the same person who likened the situation in Assam to Israel-Palestine conflicts. He has allegedly told in a press meet that Muslims are being bulldozed by Bodos, which many consider as an incitement to the repercussions we are witnessing now. This Badruddin Ajmal is the same person who is considered close to Ahmed Patel, Sonia Gandhi’s Political Secretary and Digvijay Singh, considered to be Rahul Gandhi’s political advisor. The Hon. Dhubri MP is the same person whom incumbent Assam Chief Minister alleged of having been trying to topple his government for 8 years and in turn install a “friendly” minister. One can assume that this friendly minister may be the emerging YSR of Assam, the best Health Minister in the country according to Ghulam Nabi Azad, the person who had resigned and later allegedly camped in Delhi during the heights of Assam violence for a replacement in Assam Chief Minister-ship, Mr. Himanta Biswa Sarma. Or not. Let us leave the question as to whether passions were stirred up for narrow political gains to another day’s discussion. “ Though the rest of the people in Assam, other States of North East India and Darjeeling region of West Bengal had nothing to do with riots in the BTAD, Assam, the attacks on the people from the North East India has been building up. On 8 August 2012, a student of Poona College belonging to the northeast was beaten up by a group of eight people in the vicinity of the Poona College. This was the first incident of assault against Northeast people in Pune, Maharashtra. On the evening of 8 August 2012, Infosys employee Kahomdai Panmei of Manipur, who lives in Kondhwa, Pune, was attacked by a group with iron rods and bamboo sticks without any reason. He had gone out to drop his sister to her residence in Shivneri Nagar. On 9 August 2012, four students were allegedly beaten by a mob near Poona College in the Pune Camp area The victims filed an FIR at the Cantonment police station on 10 August. In a separate incident on the same day (9 August 2012), Thuike Ywang of Manipur and a student of Poona College, was beaten up by two persons in Kondhwa when he went to buy rice at a shop around 7 pm. On 13 August 2012, two persons identified as Sarva Bahadur Devang and Mathiyani were allegedly beaten up by unidentified persons in two separate incidents in Kondhwa, Pune. Sarva Bahadur Devang is from Darjeeling, West Bengal and was beaten up suspecting him to be from the north east while he was on his way to home when five men traveling in a car accosted him without any provocation and attacked him on the NIBM road; while Mathiyani was beaten up by two unidentified persons at Shivnerinagar. The police registered two separate non-cognisable cases in connection with these attacks. On 13 August 2012, a person from Assam, working as a security guard, was allegedly intercepted and beaten up by three unidentified persons in Raidurg, Hyderabad. The attackers also snatched away his mobile phone. On 14 August 2012, a Tibetan student Tenzin Dhardiyal was stabbed on Dhanwantri Road in Mysore, Karnataka allegedly due to his Mongoloid features. It is sad that the very Mr. Sangliana, whose lack of inclusion in the team drew criticism from rights activists, finds Karnataka dangerous due to Hindutva fringe elements rather than such incidents of Islamist communalism . Anyone who thought that the worse was over was in for a horror. India witnessed passionate outburst, which many would dub as spewing venom, by Hyderabad MP Asaduddin Owaisi of All India Majlis-e-Ittehadul Muslimeen. Full text of his speech can be read here . Some quotable quotes are as follows. As has been pointed out earlier in this article, the official reports say that at the peak of the violence the refugee camps housed nearly 4.8 Lakh people. So, if we take Owaisi’s data to be true then all those people in the camps are non-Bodos among whom Majority are non-Muslim. 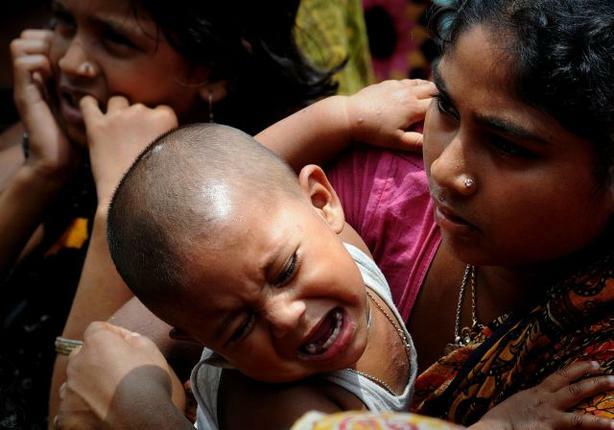 On August 15th it was reported by The Hindu  – “As many as 10,000 inmates of relief camps have returned to their homes since Monday, reducing the total number of camp inmates in the four violence-hit districts of Kokrajhar, Chirang, Dhubri and Bongaingaon to 2,92,852 on Tuesday. Of them, 2,31,308 inmates are in 175 camps for the Muslims, 61,439 in 51 camps for the Bodos, and 105 inmates in one camp for the remaining communities.” But Hon. Member of Parliament from Hyderabad said there were 5 Lakh non-Bodos a majority of whom were Muslims. If then, how come even when the numbers came down to nearly 3 Lakh there are still about 62 Thousand Bodo refugees? Is it not a deliberate distortion of fact to enhance the image of a Muslim victimhood? The pictures he had seen are most probably the fake images spread in the internet by those Islamists who wanted to spread communal tensions. The poor chap fell for it and that is not a crime. But using that as a tool to whip up extreme sentiments without checking the facts or the authenticity of the images, he had given irresponsible statements. Any “Muslim youth” who did not even know such a thing existed would get aakkrosh (to use his own words) when leaders who supposedly represent them make such lackadaisical comments. Look at the sickening way in which Kamal Farooqi finds it easy to use Gujarat as a comparison for a negative incident but never for something good. Is that not a deliberate attempt to cover up any sense of development among Muslims and to portray them as a group of people who are leading a dismal life eternally waiting to get butchered at any sudden moment? Is it not stereotyping the Indian Muslims victimhood? And all hell will break loose accusing the New Yorker of stereotyping Muslims, if it publishes a front page article with “Muslim Rage” as the headline, even though this rage had killed the US ambassador to Libya. Suddenly we began seeing protests all over the country. Protests were held in Uttar Pradesh in Lucknow, Kanpur, and Allahabad resulting in destruction of media vans, and some Buddha statue reminiscent of the tribal nomadic radical Islamic fundamentalists of Mali who started desecrating the Timbuktu shrines and that of the destruction of Bamiyan Buddha statues by Taliban. Vicious SMS which deliberately incited mobs, and clarion calls from mosques and madrasas asking Muslims to show that they cannot be victims “again” resulted in fleeing of North Easterners from the southern Metros of Bangalore, Chennai and Hyderabad. And wonder where the SMSes were traced from? From Kerala based Muslim fundamentalist groups such as Popular Front of India which is of the opinion that Kerala, of all the states in India, “is not as progressive and secular as it is made out to be”  and Harkat-ul-Jihad-al-Islami (HuJi) “who [had] helped Pakistan-based agencies circulate the messages [so that] it looked as though they were genuine in nature and originating from within India” according to the Intelligence Bureau officials . It is interesting to note that these organisations used the help of the Students Islamic Movement of India (SIMI) to spread these hate messages, the very same SIMI whose ban our secular leader Mulayam Singh was dead against. Latest information reveal that including Anees Pasha, T. Nawaz and Shahid Salman Khan and 13 others have been arrested by Bangalore police on charges of spreading enmity among various communities. But, hey, leave all this, let us ban some twitter accounts! One cursory look at the incident will reveal the number of people who are from the Muslim community and organisations, which claim to represent the Muslims of India; accused, and arrested in relation to a heinous crime against our motherland. These are not without substantial evidences and proofs, these accusations are not a figment of any Hindutva-vadis imagination. This is the reality. But oddly the Media and politicians have been trying to white wash the entire issue by once again reinforcing Muslim martyrdom. Hence we have the types of Owaisi, Farooqi and others who keep on lamenting on the losses of Muslims alone without considering that there are others too, who are dead, who are affected by this. They outright deny the fact that there has been migration from Bangladesh. We have leaders who say "I don't want them [Muslims] to become militants but what can I do if they are forced to take to arms? I have seen their anger and frustration." But he is part of a secular government. We have parties which send medical and financial aids only to Muslim refugees of the Assam region although they acknowledge the presence of non-Muslim, non-Bodo refugees in the camps. While Badruddin Ajmal is weeping his hearts out to Sonia Gandhi about Muslim victims of the Assam violence , she herself is busy crying about Batla House encounter and our Prime Minister is busy losing his sleep over saving a terror suspect and chanting out blunders like Muslims have the first right to the nation’s resources. But they are all part of a secular government. And then we have ‘The’ Gujarat Chief Minister, who is selectively quoted on his action reaction theory, and he is a communal bigot. Surely, India needs a new dictionary where the definition and meaning of words like secular, communal, right wing, left wing, minority etc. need a substantial rework. I am not going to comment on how the Indian media pimped out our nation on this issue. Let us see how Al-Jazeera, an international progressive media depicted this incident. “Ethnic riots in country's northeast follow the same pattern as violence against Muslim Rohingya in neighbouring Myanmar.” – Screamed the headline . Let us see some interesting insights the article provided. Thus the report actually admits to the separatist tendency among the Muslim leaders of Assam. It also talks about the ensuing violence that the Muslim leadership in the country instigated. 5 Muslim extremist have been arrested by CBI. Muslim organisations have been accused of spreading false rumours. Muslim leaders are instigating mobs whose sole purpose in life, it seems, is to get instigated. But still the situation is similar to Rohingya Muslims. But still, the Bodos are the ones who need to be checked. It is the same old hogwash of Muslim martyrdom here again. Is there no one to call the bluff without being made to feel guilty? Part 5 - "Innocence of Muslims"
N Ram and the Congress Cabal stand exposed again. Their hypocrisy over the Election Commission is shameful. Mirror, Mirror On The Wall, Who Is The Wisest Of Them All? Sarath Ramakrishnan S. Powered by Blogger.